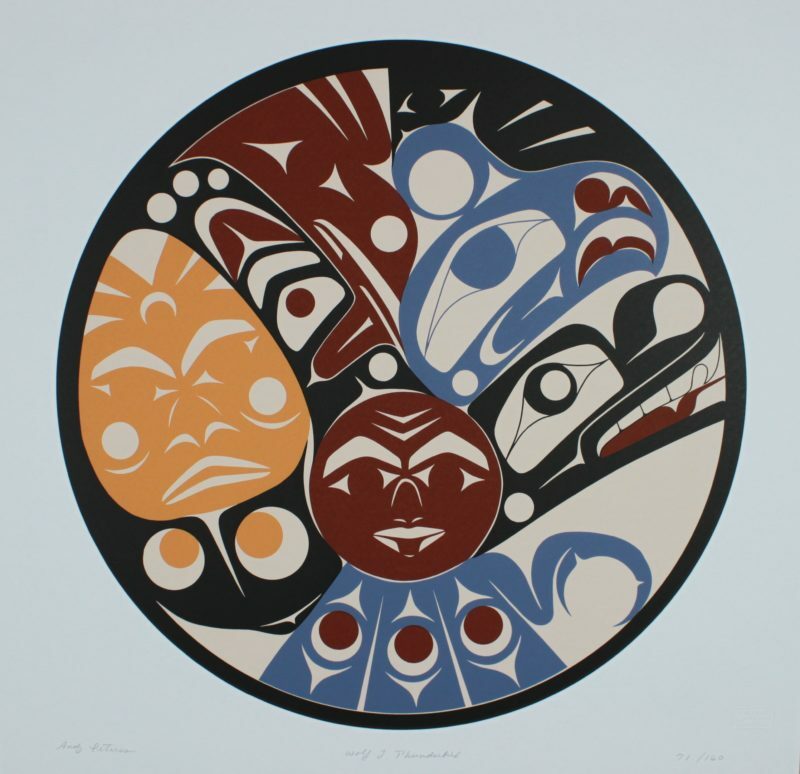 This limited edition silkscreen print titled "Wolf and Thunderbird" by Andy Wilbur Peterson was hand produced by the screen printing process. It is the only limited edition printing of this design. 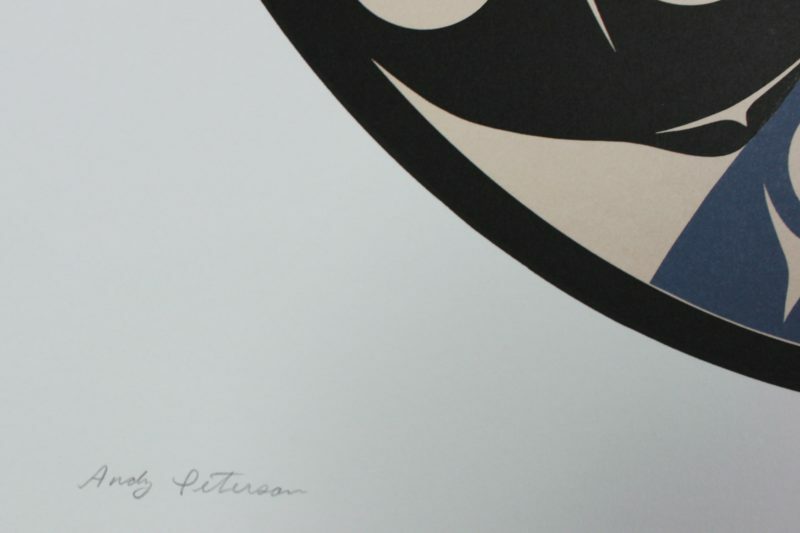 The artist has inspected and signed each copy in the edition. All trial copies of this edition have been destroyed and the printing stencils obliterated.